NI-Eire Prophecy Update #10: news roundup – is South Africa an object lesson? At a vigil held for Lyra McKee, the murdered journalist in Derry, there is genuine tenderness between the two leaders. May Lyra’s death not be in vain. Here is Mary-Lou McDonald (SF leader) quoted at a memorial service for Lyra McKee yesterday (Sinn Fein leader says dissidents must “pack up”). More confirmation of God using all things to His purposes – in this case closer UK-Irish relations. ‘She said the people of Derry and beyond had echoed this sentiment “with one voice” following Ms McKee’s “brutal killing”. ‘Ms McDonald also told the crowd that Northern Ireland’s current political “stalemate cannot continue”. Here is something of great significance: the SDLP are republican-minded, but non-violent. They are experiencing new support in border areas such as Derry. It is a shift away from politics (defined by selfishness) to statesmanship (defined by self-sacrifice). Derry Now reports ‘SDLP leader Colum Eastwood has written to party leaders and two governments to immediately convene talks to restore power sharing in Stormont. ‘There is an unmistakeable public desire that the tragic and terrible loss of Lyra McKee marks a turning point for our peace and political process. ‘I am therefore writing to all party leaders and to the two governments to urge that talks are convened this week in order to finally restore government in Northern Ireland. ‘On the streets of Creggan, in Derry and across Ireland a clear and resolute message has been sent to Lyra’s killers and to all of those still wedded to the futility of violence. They are the enemies of all of us on this island and enemies of the shared future we have all chosen to build. ‘There was however another equally strong message in the aftermath of last week’s murder. It was a simple and direct message to all of us tasked with political leadership – resolve your differences, end the division and get back to work. ’21 years after the Good Friday Agreement we have been far too casual with our peace and our politics. We have too easily forgotten that failure in our politics always results in danger in our streets. We have been far too ready to disagree with one another and not ready enough to value and build upon the peace we inherited. ‘As political leaders, we are responsible for the context of political division which has let all of our people down. We can’t allow it to go on. ‘I am therefore proposing that the two governments convene urgent talks this week. If this is to be a turning point, then it is vital that we listen to the public demand to return devolution and power-sharing. ‘We all know that this shouldn’t be an impossible task. We all know that reform of the petition of concern is central to unlocking the impasse and we know that what has really been missing is the political courage and will to get the deal done. ‘The excuse needs to be removed that talks in Northern Ireland can’t happen until after an election. The public expect us to go back to work and they expect us to form a government – campaigning for any election can’t get in the way of that fundamental responsibility. ‘We have to stop failing and we need to start talking. Lyra’s funeral is presently underway. A seed has died, and a tree is growing. There is such poignant humility amongst the politicians there – look at the body language. Sometimes it is very hard to understand how things work. Mourners have started to arrive at the funeral of Lyra McKee at St Anne’s Cathedral in Belfast. Prime Minister Theresa May, President of Ireland Michael D Higgins, Taoiseach (Irish prime minister) Leo Varadkar, Labour leader Jeremy Corbyn and local politicians are at the service. DUP leader Arlene Foster sat beside Sinn Féin leaders Michelle O’Neill and Mary Lou McDonald. SOUTH AFRICA – an object lesson and role model for the future? South Africa is well-known for lawlessness, even from long ago. Within SA, Johannesburg is regarded as the centre of gravity of lawlessness. Within Jo’burg, there is a high-rise, greatly feared suburb on the crest of a ridge overlooking the central business district, and it is called Hillbrow. This was and still is the epicenter of lawlessness of Jo’burg. When I emigrated to SA from Zimbabwe in 1983, a few months after my A-Levels in 1982, I was led to live within this environment (I grew up in a brutal civil war: 1965 until 1979; SA was easy) until 1993, when I got married. It was the easiest place to minister as a Christian, because of the harshness of the life around oneself. The outpouring of God’s grace was so accessible under these conditions. It was literally a case of “Where sin abounds, graces abounds more”. Therefore the goings-on in Derry have primed the conditions for revival, of which I am absolutely certain. I have also seen that the bonfires that have been used by satan to provoke violence within the communities of NI will instead be fires of worship and revival, burning intensely in the spirit as praise and worship rise up to Heaven and the nostrils of our God Most High. Take a look at this aerial photo of Belfast in bonfire season, and see what God will do with His holy fire. NI-Eire Prophecy Update #9: Irexit? ‘Commenting on the foreign policy and constitutional decisions and preferences of another nation is often problematic (consider the anger felt by many UK citizens regarding President Obama’s comments about the Brexit referendum). Given the tempestuous history of relations between Ireland and Great Britain and then between the Republic of Ireland and the United Kingdom, I […] continue reading at Irexit? This from Lisa Tierney on 9th April, as published by UK Prophetic Words, immediately caught my attention because it relates directly to my first encounter with prophecy in mid-90’s, as first told in Why I’m Writing. Then he showed His multi-coloured CROWN, and He said that the jewels within it are His people. The many colours in His crown also spoke of His Seven-fold Spirit, operating in the CHURCH – the Spirit of Wisdom, Council, Might, FEAR OF THE LORD, SPIRIT OF THE LORD, Understanding, and Knowledge. Next, He showed me His royal SCEPTRE, His symbol of the authority and power, which His Kingdom brings within it. This has, in His kindness and mercy, been placed on our land. And I saw GUARDS, which looked like Royal Guards with weapons, patrolling our land. These are His Armed Guards, which He has placed over our land, in the spirit realm, to secure and protect us. GOLD signifies Wealth and My Divine Kingship, a precious metal. FRANKINCENSE signifies our prayer offering; it’s the most pure-white incense, rising to Him. Thank you Father, for your precious gifts to us! Father continued: “Tell my people that Delilah strikes hearts when they are not looking at the right things; when they seek to quieten their unease with material comforts and pleasure, rather than pressing deeper into Me and My Kingdom; their only true peace. “Go back and warn them! “My beloved ones, you must be ready willing to lay everything aside. Now is the time to CRUSH the HEADS OF PRIDE in your soul and your mind; you are able to do this. My Son gave his own life, so that you might have freedom within you. Lean on Me, and do not rest on your own understanding, which is so easily contaminated with this world’s wisdom. This is of great importance at this critical time in your history! A price laid down at Calvary. Weapons of destruction- I’ll hold them back! Listen to my heartbeat! No turning back! On where you stand is Holy Ground. Waiting in Response from the King- El Shaddai. Father showed me the letter Pey. The word “PEY” means “mouth, word, opening, or extremity. It is, therefore, symbolic both of the WORD and of REPENTANCE, which is done with the MOUTH. This TWOFOLD meaning of Pey, firstly speaks of the effect of speech and written words, including the Word of God. Secondly, it speaks of the connection between REPENTANCE/SALVATION and the MOUTH. Both involve spoken words. Therefore, Father is saying that we must be watchful at this time, concerning the words which we Speak. Our words must be WORDS of LIFE! And they will be words of life, when they are woven with repentance and the written Word. This will bring forth our UNITY, as one Body, and the hordes of hell will be pushed back! Most importantly, Father says that he will hold back the Weapons of Destruction that the Enemy wants to use against us. Prayer: LORD, may this scripture be our prayer to you. Help us to understand and to apply these great weapons that you have provided for your people, that Pride and Delilah might be destroyed from our midst. Leviticus 26:13 I am the LORD your God, which brought you forth out of the land of Egypt, that ye should not be their bondmen; and I have broken the bands of your yoke, and made you go upright. (together) as ONE! Zechariah 9:16 On that day the Lord their God will save them, as the flock of his people; for like the jewels of a crown they shall shine on his land. Footnote: Lisa Tierney’s painting published with her kind permission. Prophecy: “2018: I will impart to My Prophets the ability to see clearly My Numbers…” (delivered by Leisa Ebere, read in full here). The above, ancient meaning of ‘mystery’ is rarely understood and appreciated, even by those solidly grounded in scripture. As told in my testimony, my pre-Christian life got immersed in that esoteric knowledge, and so I’m experienced in this matter and can attest that the difference between that discipline and holy revelations from the Almighty is like the contrast between His Light and the devil’s darkness. Therefore, the modern definition of ‘mystery’ as an unsolved puzzle, or something difficult or impossible to explain is comparatively trite! 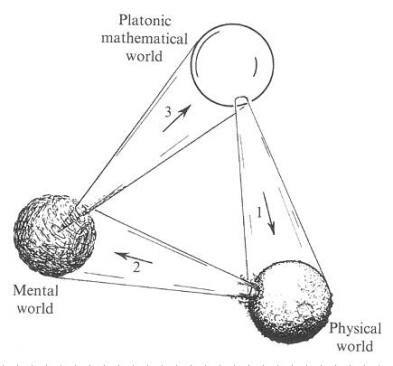 Even the eminent mathematician-physicist Sir Roger Penrose tends toward a circumscribed perception of reality when using this term, as quoted and discussed in RTU’s Three Worlds, Three Mysteries. Of course, such hypothetical mysteries cannot equal the much deeper ‘mystery’ of revelatory scripture! Yet in positing that mathematical entities don’t belong in space or time and are eternal and unchanging, Penrose is approaching our understanding of the mathematical aspects of the Bible. His recent thoughts upon consciousness originating at a quantum level may approach ideas I’ve broached in the convergence of science and scripture. 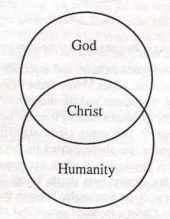 “I asked the Lord about the meaning of the 153 fish in John 21:10, and I was given a maths answer. Amazingly I grasped the explanation. Having to learn statistics in order to get my Diploma of Business helped. I had to overcome a lot to learn the math behind statistics…(including) my loathing for maths. Fortunately, I have a very patient husband who helped me with the mechanics of maths in statistics. So we read that Joanne progressed and mentions Factorial numbers and Venn diagrams as being the first things she learned in statistics. These were the basis of all the wonderful things she was later shown about that ‘action replay’ fishing trip by seven of Jesus’ disciples. She succinctly explains the unusual significance of the 153 fish by maths of factorials and square root of the third prime number (3), as well as geometrical constructions and proofs in diagrammatic forms, PLUS their relevance to the triune relationship of God, Christ and mankind. That historic catch’s mathematical meaning is a surprising shock to we moderns but, in the immense sweep of history, such intellectual knowledge was a relatively ‘recent’ development to those living in the inter-Testamental times of the Graeco-Roman world. The principal propositions, or theories and proofs, of geometry had been compiled by Euclid of Alexandria about 300 years before Jesus’ life. To give us some perspective, this is the same period since the accession of George I (1714) and the appearance of John and Charles Wesley to lead a major evangelical revival, from which was born the fourth largest church denomination in England, Methodism (in Oxford, 1729). 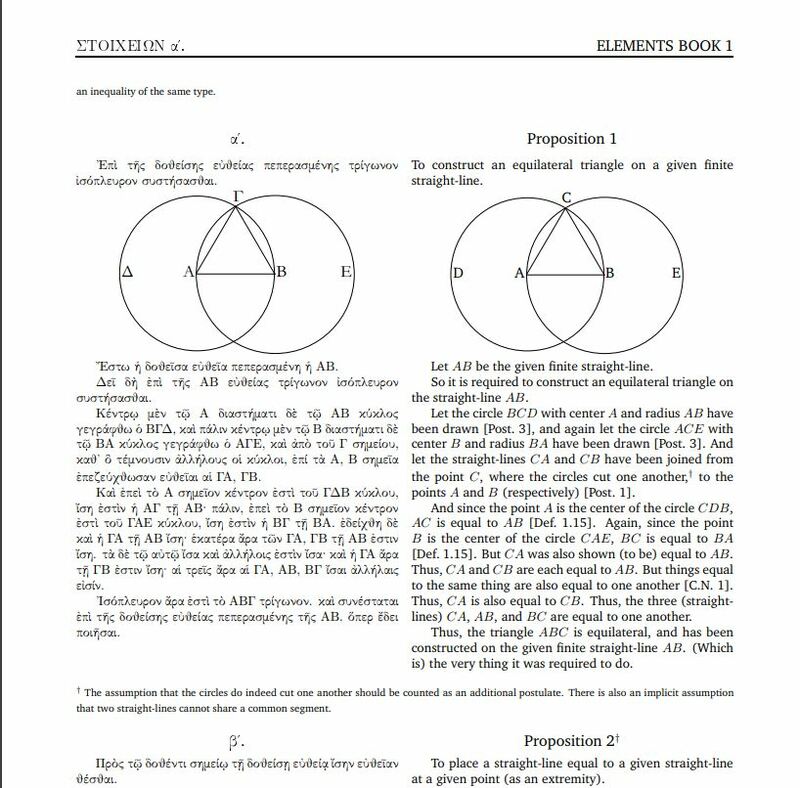 Fascinating Fact: the first proposition of Euclid’s Elements of Geometry is to construct an equilateral (three sides of equal length) triangle by describing a Vesica Piscis (known as ‘Vessel of Fish’!) with a pair of compasses. It’s done by drawing one circle and then a second one exactly the same size, but with its centre on the circumference of the first. 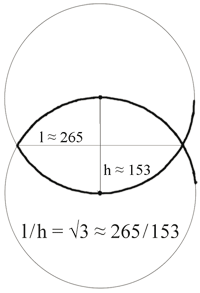 The common, overlapping area looks like a canoe and the ratio of its length to width is 265:153, which closely approximates the square root of 3 as calculated by Archimedes of Syracuse. That statement lodged indelibly within my soul when a teenager and I determined to set on a quest to discover the fullness of Jesus’ work. A lifetime later, I learn that ‘seal’ sets the scene for the last chapter’s account of the amazing fishing expedition. That is, it is a clear signpost of the next and final miracle’s deep significance to the early Church. 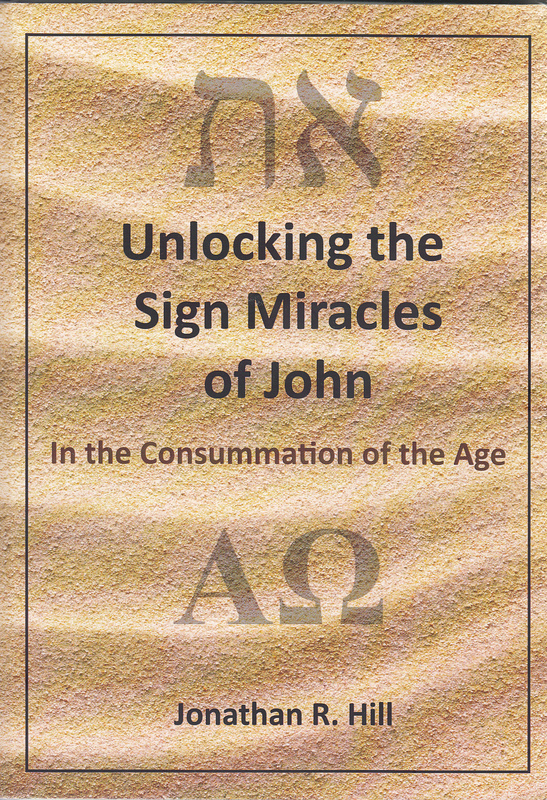 Jonathan R Hill, whose above-titled book explains how ‘pi’, the mathematical ratio of circumference and diameter of every circle is found in Genesis 1:1, and that of ‘e‘ (base of natural logarithmic and base rate of growth in all growing processes), are found in John 1:1, devotes a full chapter to ‘Sign 8’, the miraculous catch of 153 fish. Time and death represented in this succession by number 7 is followed by 8, the number of resurrection (a new beginning, as blogged in January), underscored by 8 resurrections in scripture other than that of Jesus. Jesus’ command to cast nets from the other side of the boat, the right, symbolises and prefigures God visiting the Gentiles and taking a people for His name. The Greek word ‘ekklesia’ translated as ‘church’ means nothing more than ‘called out of’. Thus, the fish being caught out of the sea reflect the characteristic of the Gentile church as those who are ‘called out of’ the world. 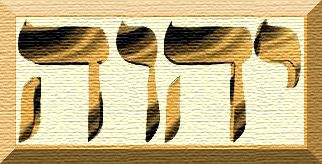 153 is of considerable mathematical and typological significance and represents the fullness of the Gentiles. Key composites of 153 are 7 (spiritual perfection), 10 (numerical completeness) and 9 (finality) because (7+10) x 9 = 153 (= 9 x 17). 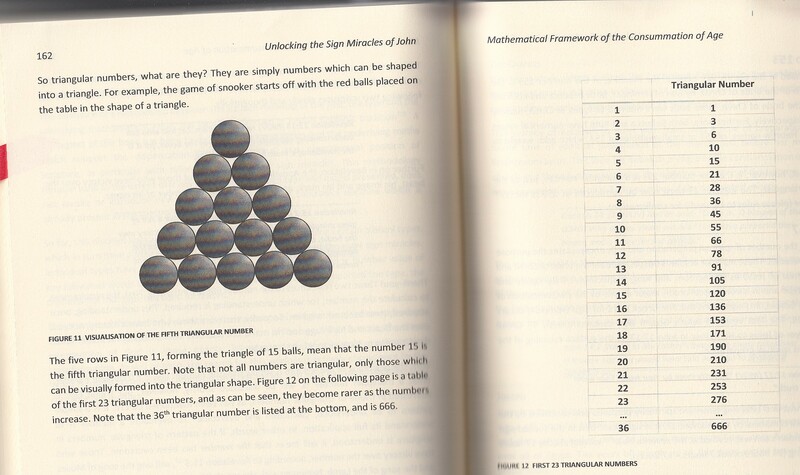 From this brief overview of well-researched data we can confidently conclude that the mysteries of the kingdom of heaven include mathematical principles as an important part of its transcendental wisdom. Selah! Maundy Thursday is celebrated as the night when Jesus and the lead-disciples ate an early Passover Seder, or meal (see video explanation). Following the meal, one disciple betrayed Him by leading Temple guards to capture Him at night for trial by a ‘kangaroo’ court of Jewish leaders. It was a foregone conclusion that they’d demand authorisation of His death from Pontius Pilate, the Roman Prefect, or governor, of Judea. Now, when I was a new Christian I found that rather hard to understand – but it works! The theological term is ‘atonement’, or ‘substitutionary atonement’. In bringing forgive-ness to the guilty, however, this can cause deep problems for those who’ve been the victim of crimes. After all, why should a killer find forgiveness by God? And what about the victim’s families, or the victim of abuse? They find it very hard if well-nigh impossible to forgive. In 2012 I heard a Portsmouth prison chaplain address this issue with a concept taken from the criminal justice system: restorative justice. This involves an active dialogue between victim and offender, plus reparation. And it has a sound basis in theology. How? Jesus was a guiltless victim, directly of those who wanted Him killed, and indirectly of everyone’s ‘fallen state’ of sinfulness, which could only be rectified by His death. During contemplation upon the tableau illustrated above, an insight dropped into mind that the Resurrection created a distinct point in the flow of, or perhaps even a change in, Time itself. That is, the now termed ‘common era’ calendar is the medieval Christian one that counts years from the approximate birth of Christ as ‘anno Domini’. But in fact, a more powerful one would be the point at which things in heaven changed and thus affected our lives on earth and its ultimate role in God’s scheme of creation. This took place at the Resurrection of Jesus Christ, His revival to life from death itself. That such a concept may be valid can be found in the discoveries about the material of ‘The Shroud of Turin’, the shroud in which Jesus was thought to have been carried and covered during His interment. It is of most astounding significance when examined from the view-point of modern physics. Apart from the supra-natural or spiritual aspect, that unique, singular event could have naturally happened by means of a ‘singularity’ (a theoretical gravitational effect associated with ‘black holes’, eg. as may have been the starting point of the creation of the universe, or ‘Big Bang’). Don’t take my word for this but consider that of Dame Isabel Piczek (deceased 2016), famous as a monumental artist and award-winning figurative draughtswoman. Her highly detailed analysis of theories about how the image on the shroud was formed is authoritative, as in the first of several detailed articles here. Also, as a physicist who may have considered implications from a quantum mechanics standpoint, her conclusions about how the image was formed are most intriguing: it seems that the image of Jesus can only have been created by its hovering equidistantly above and below his reclining bent corpse. Furthermore, this necessitated the body’s levitation – perhaps not an impossible feat during the moment of the Resurrection power-blast? After all, the disciples had witnessed Jesus walking on water and were yet to see His levitating into the clouds! We have a piece of cloth and it leads us to a mysterious gate which opens for us, and it lets us see a completely different world, an extraordinary world with extraordinary laws. 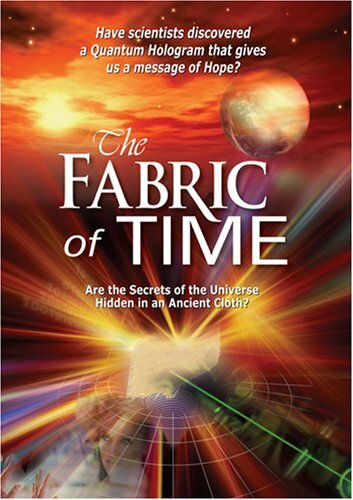 Consider these claims by reading those articles and watching this 19 minute of extracts from the DVD The Fabric of Time (with its own lead-in trailer). There’s also a discussion of her scientific opinion at In Case You Missed Isabel Piczek’s Wonderful Paper. ‘Coincidentally”, just after having read the last link and revised the preceding references to science (post published 5 years ago), I’m alerted to theoretical physicist Mehki’s new post on ‘black holes’ and ‘event horizons’ (see Looking to the Horizon). The discussion thread has a valuable contribution from ‘physicalrealityblog’ that’s pertinent to the Shroud site’s discussion of Dame Isabel’s analysis and indirectly reconnects it back into quantum physics! 2017: ‘Coincidentally’ amusing that bloggers ‘hidden’ on opposite sides of the world (Britain and New Zealand) were preparing items on the fabrics that Jesus Christ was buried with – the full-body shroud and the head linen – in Joseph of Arimathea’s private tomb. My post updated on Wed 12 April 2017 was scheduled on Thurs 13th for auto-publication Sun 16 April. 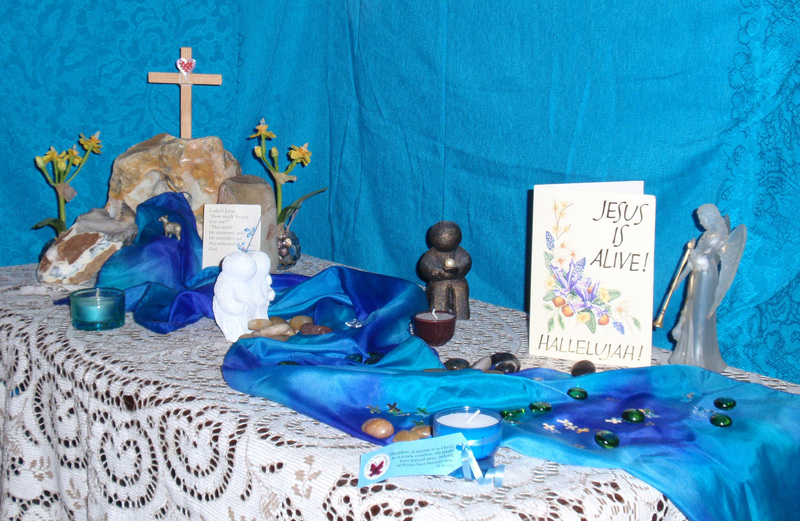 On Good Friday 14 April Joanne Rolston published news of the ‘Sudarium’ in AB-solute Proof – The Blood That Speaks. Read about bizarre anomalies in scientific instruments placed on the slab of stone in the Church of the Holy Sepulchre said to be have been where Jesus’ body lay: Scientists Who Opened Christ’s Tomb Detect Mysterious Readings That Support Shroud Theory. 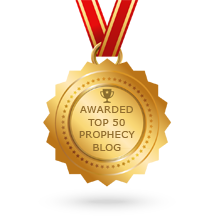 NI-Eire Prophecy Update #10: news roundup - is South Africa an object lesson?